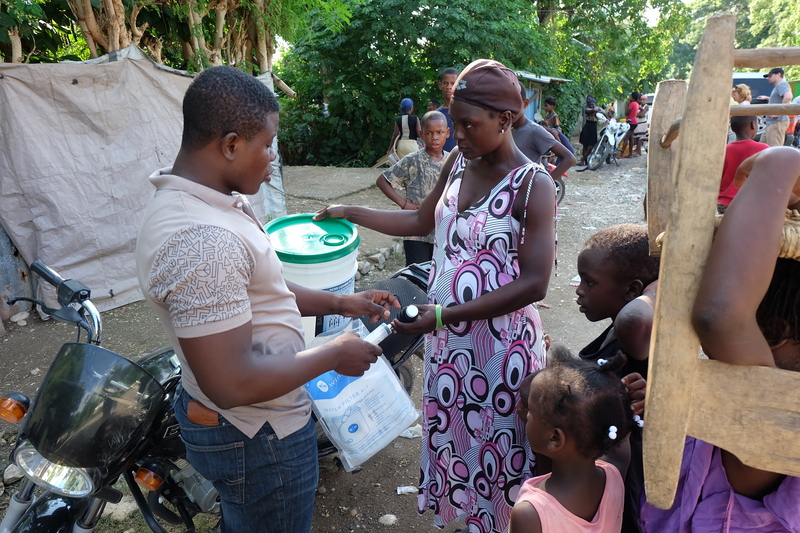 On October 23rd, 2018 the FOTCOH Education Clinic Team visited the Community of Bouderouin in Cyvadier, Haiti where we distributed 19 Sawyer Water filters to families. 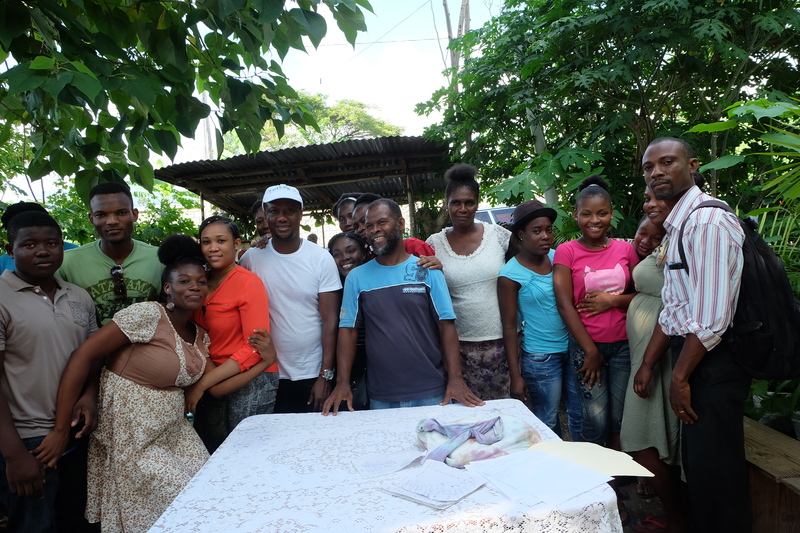 Adults and community leaders participated in the training. 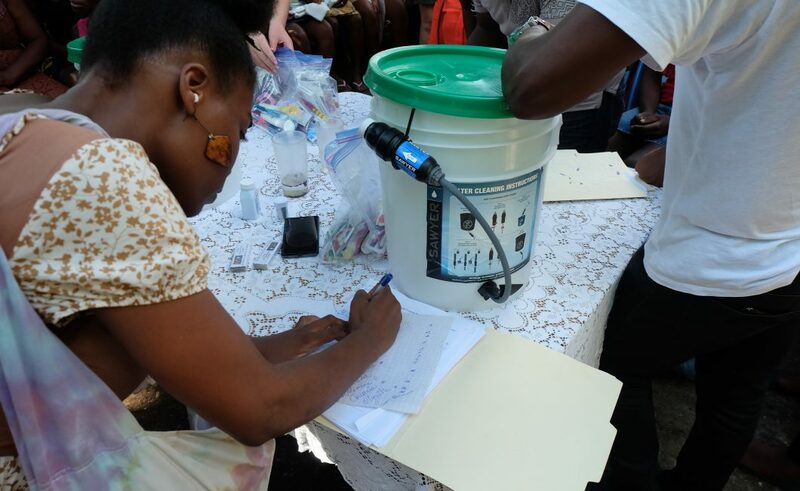 In total, 38 adults and 44 children now have access to clean water thanks to our partnership with Wine to Water in providing the Sawyer Water Filters. In the Community of Bouderouin, 336 families have been living there since the earthquake in 2010. Each family has roughly 3-5 members. 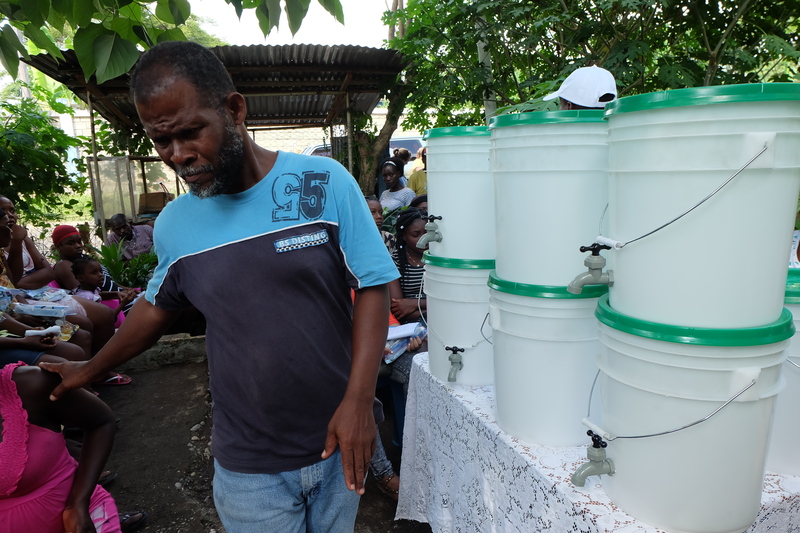 The community has been drinking unfiltered water and they have to buy filters water, which many cannot afford. Very few families in the community have a latrine – most of them have dug a hole to defecate. 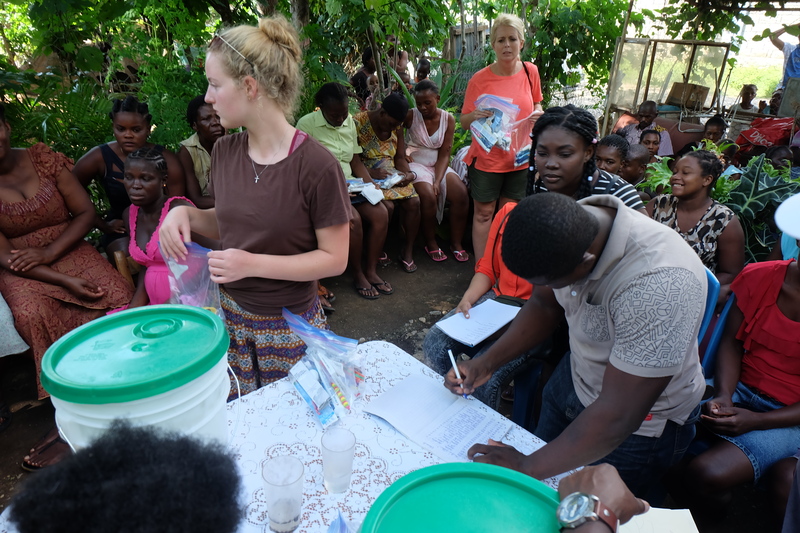 During our WaSH training conducted by the Education Clinic team, community members learned about sanitation and hygiene, the proper way to wash their hands, and the importance of drinking safe filtered water and how to safely store the filtered water.